Annette is our newest team member. She joined Copeland Creek Dental this year as a registered dental assistant. 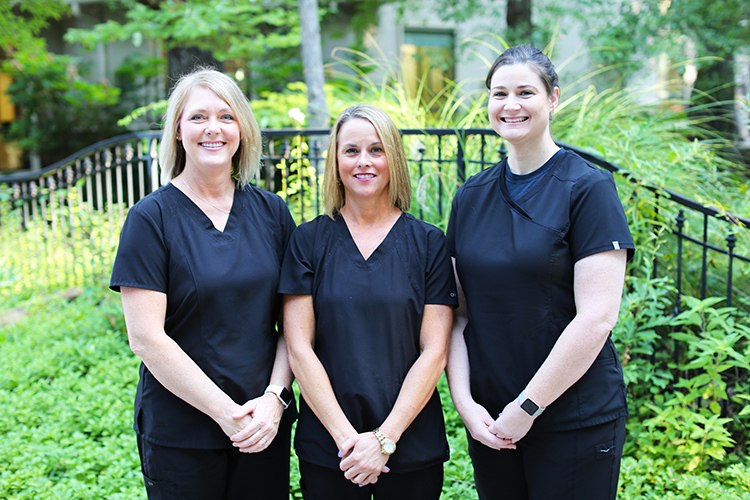 Annette began her dental career in orthodontics in 2006 and is very excited to join our team here at Copeland Creek Dental, bringing her orthodontic experience with her. Annette and her husband, Steve, have three amazing children and three adorable grandchildren. Annette loves spending time with family at her family ranch. She loves riding her ATV, being outdoors, travelling and watching their son play basketball. Karen has been a Registered Dental Assistant since January 1997. She joined our team in June 2013 and is excited to be a part of Copeland Creek Dental. Karen is a great asset to our practice with her bubbly personality. Her dental experience mixed with a great personality makes her patients feel at ease and very comfortable during their dental visit. Karen and Chris have one son, Corey, and one beautiful granddaughter named Braelynn. When not working Karen loves spending time with her family and their two fur babies, Bentley and Pico. She and Chris love living on a farm and taking care of their chickens. Karen is known to “shop until she drops”! Jennifer Atwood has been a registered dental assistant since 2009. She moved from Fort Worth in August of 2012 and has been at Copeland Creek Dental ever since moving to Tyler. Her bright smile and friendly personality are a tremendous asset for the office and her experience as an assistant brings confidence to our patients. Jennifer has two children, a daughter, Ashley and a son, Chance. When not working, Jennifer enjoys spending time with her kids and going to church.